How has your October been so far? My October and the second half of September has mostly been spent trying to cope with the ever-changing climate haha. It's rainy and cold one moment and the next, it's scorching hot. Also, I know everyone's saying this but WHERE has the year gone!? Anyways!! Today I am here with the last and final part of my fall makeup series. 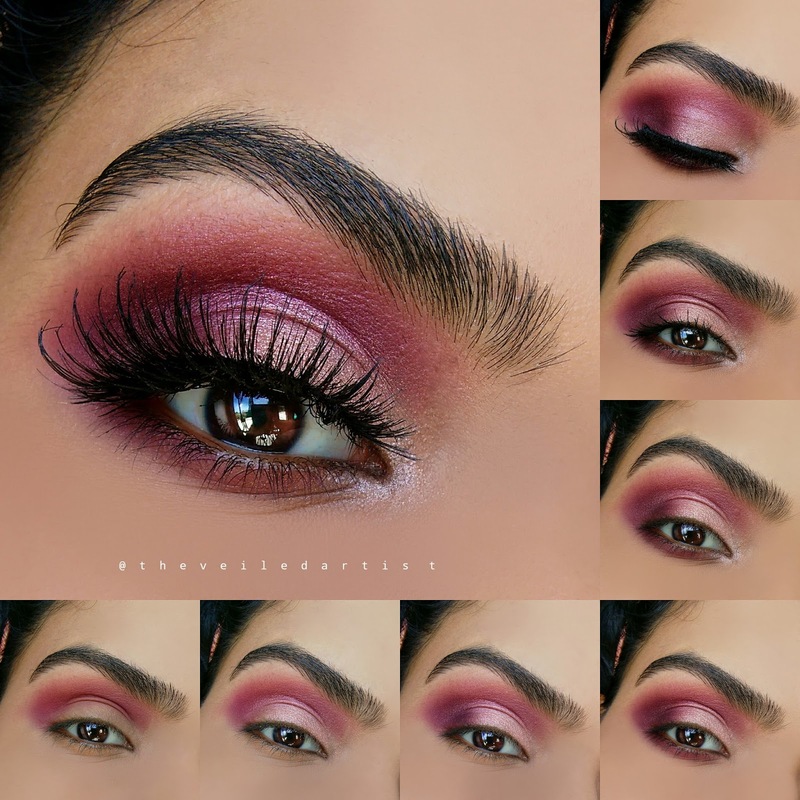 This gorgeous, romantic, shimmery pink and burgundy smokey eye look! It's super easy to create and also photographs like a dream! Especially in selfies! So let's get started! 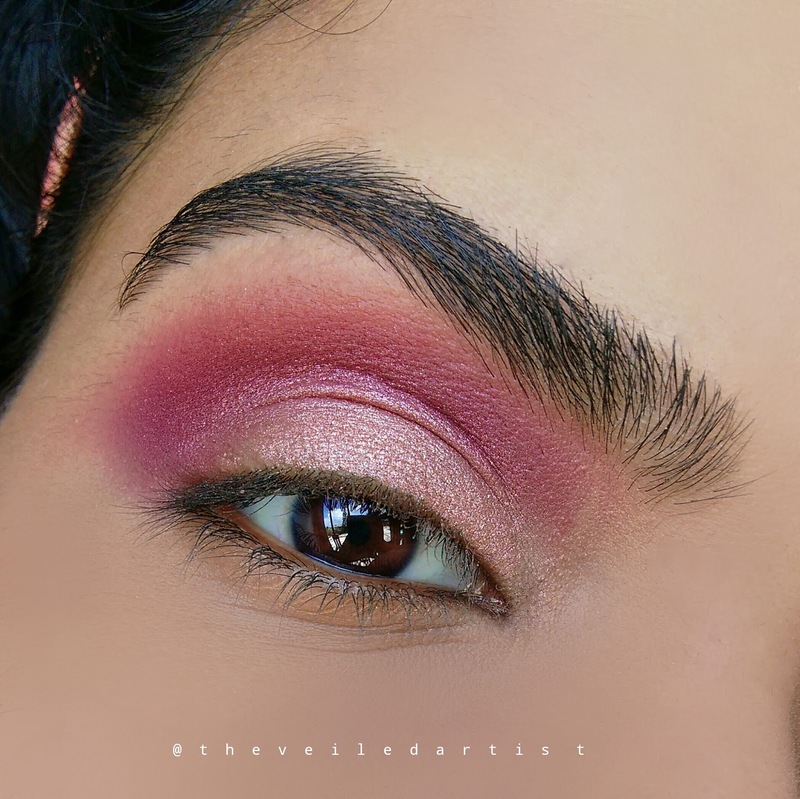 Blend the matte burgundy shadow into your crease and a little above it. 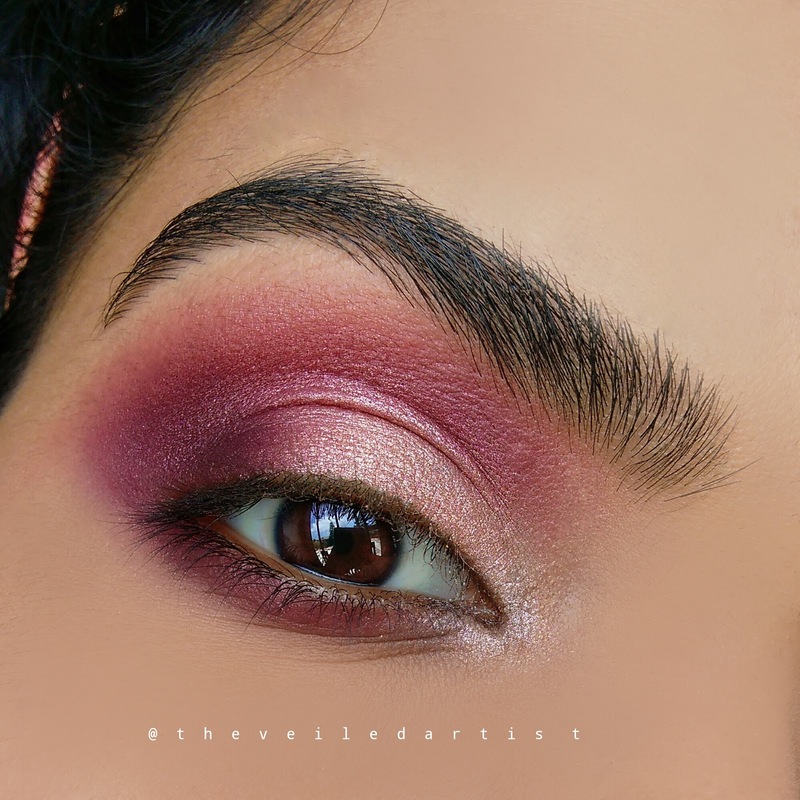 Pat and apply the shimmery pink eyeshadow onto the inner 2/3rds of your mobile eyelids. 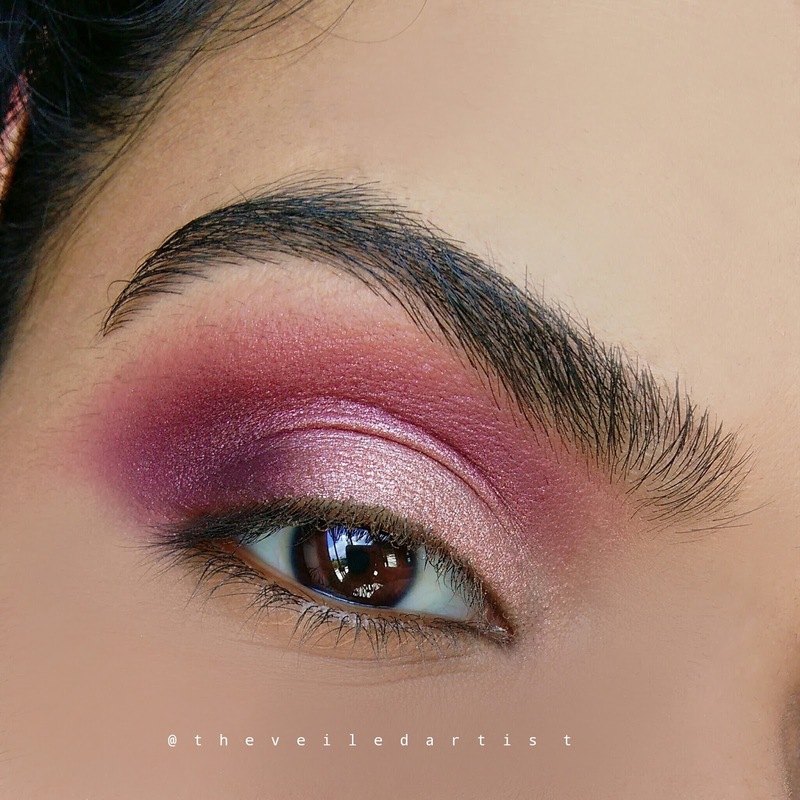 Then blend the top edges slightly into the crease using a bit of the burgundy shadow we previously used. 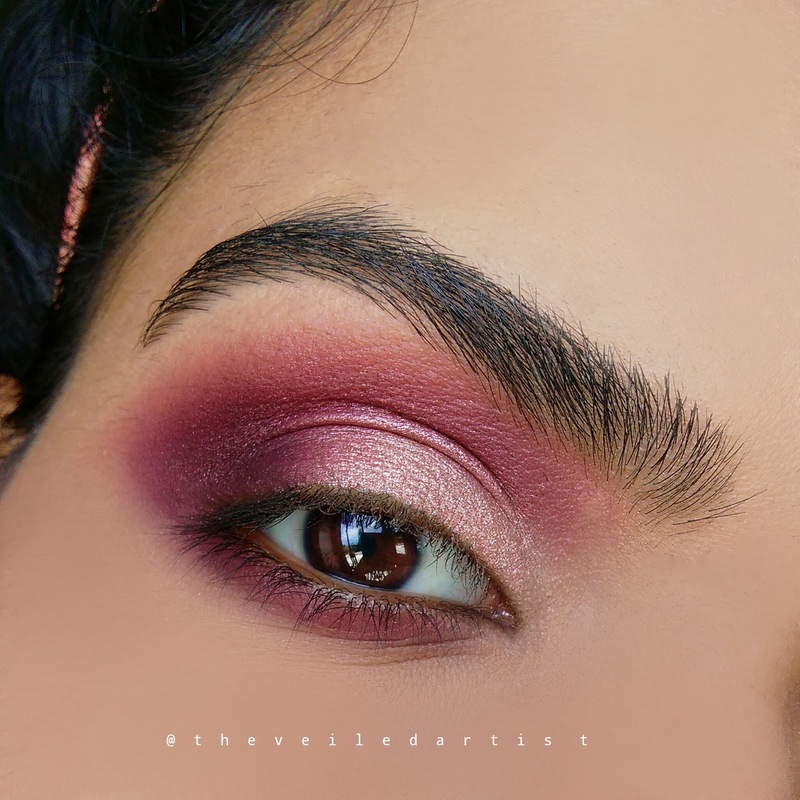 Tap a flat shader brush or blending brush a few times into the matte black eyeshadow and then a few times into the burgundy and tap off the excess eyeshadow. Then blend this new shade we created into the outer 1/3rds of your eyes and also blend it slightly into your crease. Just to make everything look more seamless. 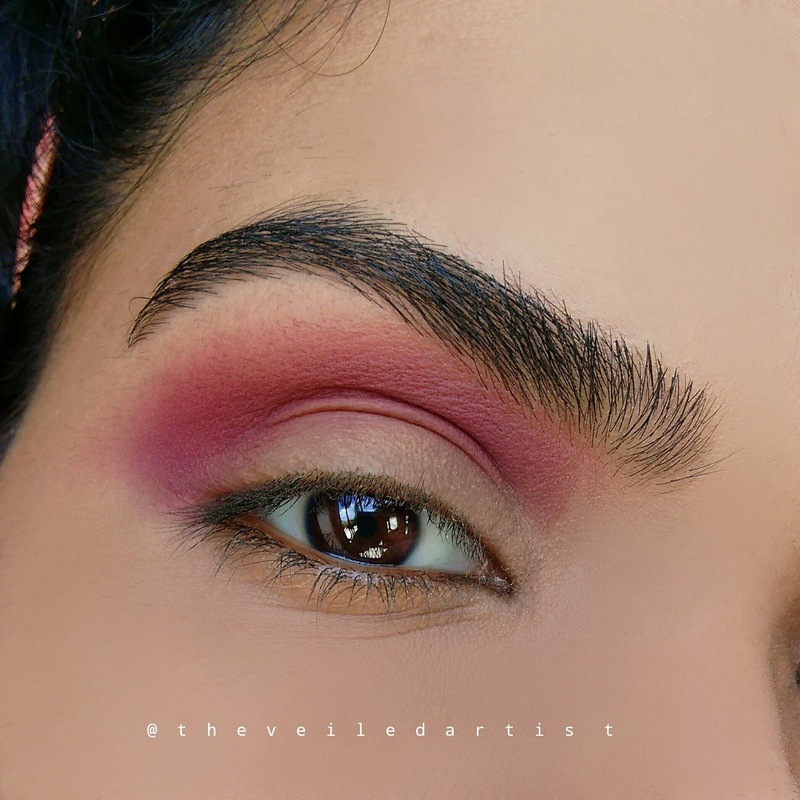 I didn't straight up use the matte black eyeshadow into the outer corners because even though this is a bright look, I still want it to look quite soft and.. romantic, as said in the title haha. And black can make any look quickly become quite dramatic. 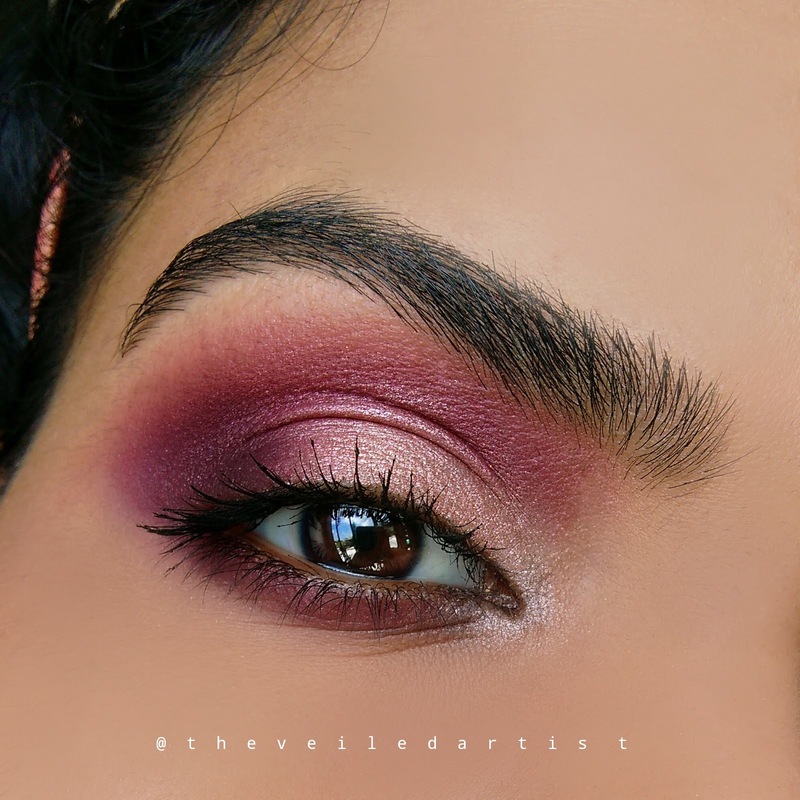 Blend the matte burgundy eyeshadow onto your lower lashline. 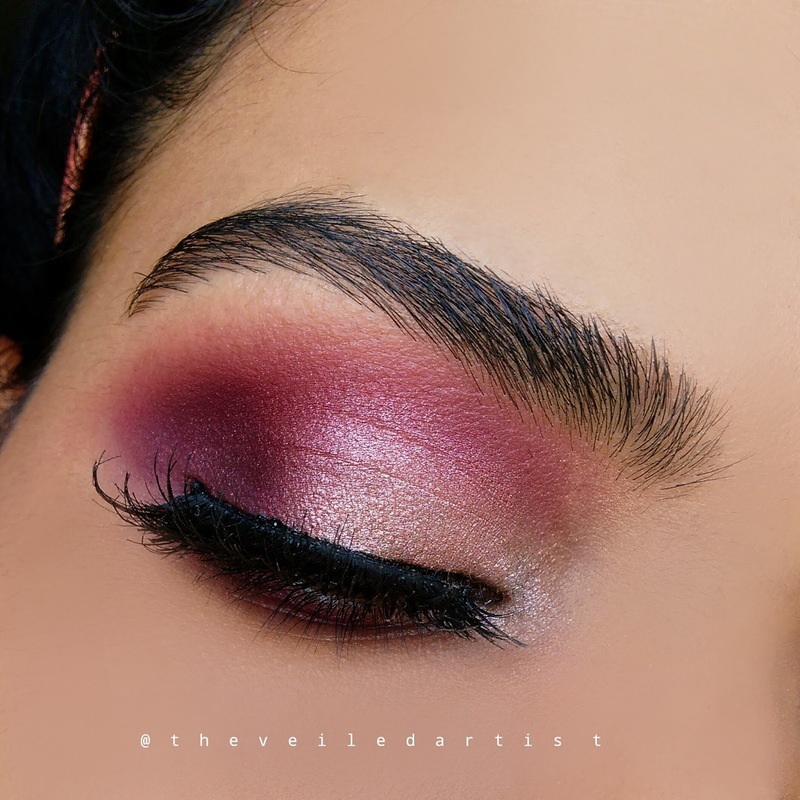 Carefully pat a very small amount of some shimmery white/champagne eyeshadow into the inner corners of your eyes and blend it into the pink shadow on the eyelids and the burgundy on the lower lashline. We're not trying to blind anyone today. Today we wanna glow! Curl your lashes and apply a few good coats of mascara. 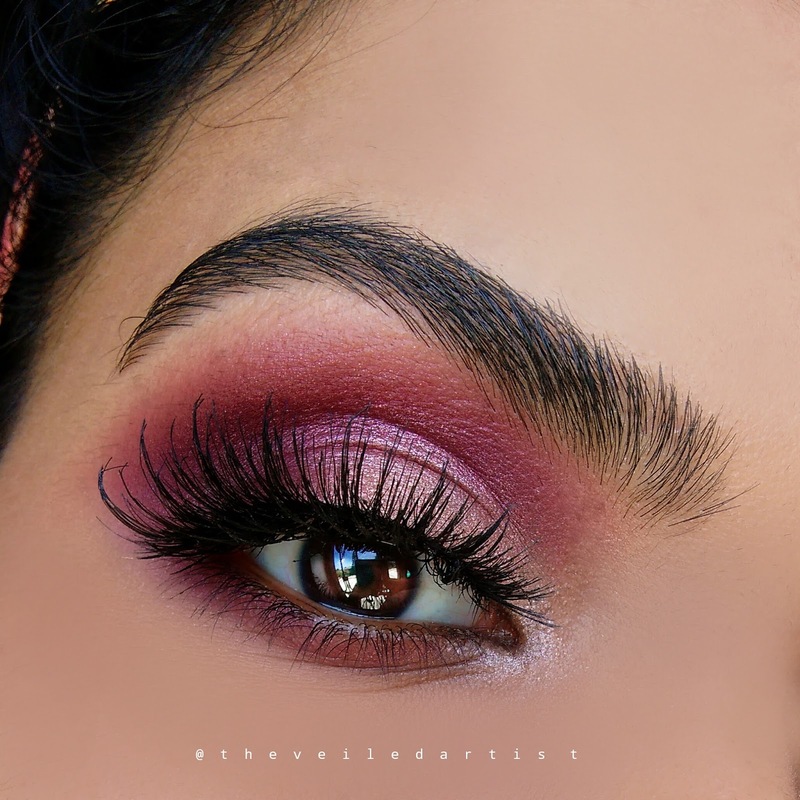 If you're not planning on wearing falsies, you can finish the look off here. I think it looks super stunning without any liner and just mascara! I really hope you enjoyed the tutorial my loves and I hope you find it useful! You can check my last post here. I swatched and reviewed some drugstore lipsticks that I have been loving and they only cost $2.50! If you want to check part 1 and 2 of my fall makeup series, you can find them here! Thank you so much for reading and I hope you have a great day! Yayy! You're welcome gorgeous! I hope you give it a try! Thank you so much my friend! I'm glad they're helpful!